Our newest app, Fussy Vegan Travel Australia, is the most comprehensive travel guide for vegans. 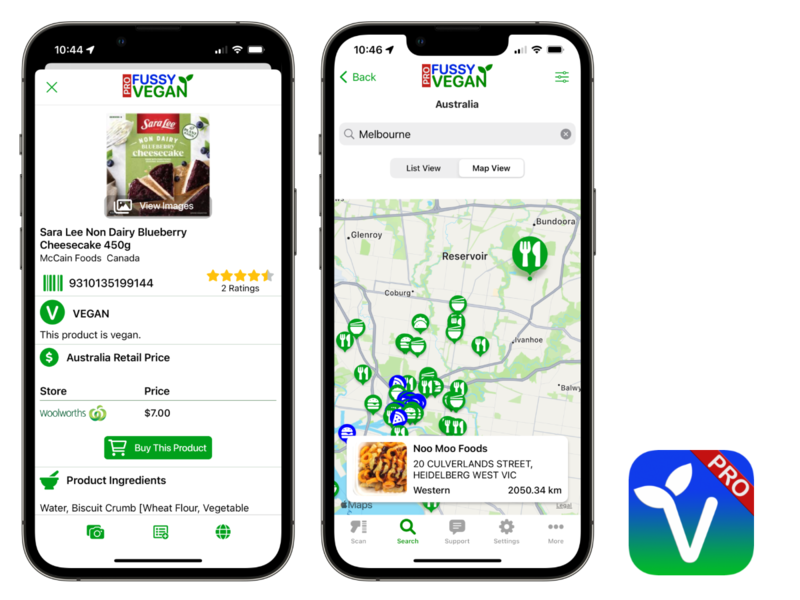 Whether you are a local or travelling from overseas, you will find this app useful in finding vegan food options at restaurants and cafes around Australia. The app also has extensive listings for where to shop vegan, vegan tattoos, accomodation, vegan friendly attractions, vegan friendly activities and more. Check out our pro version of our #1 app, Fussy Vegan Scanner. 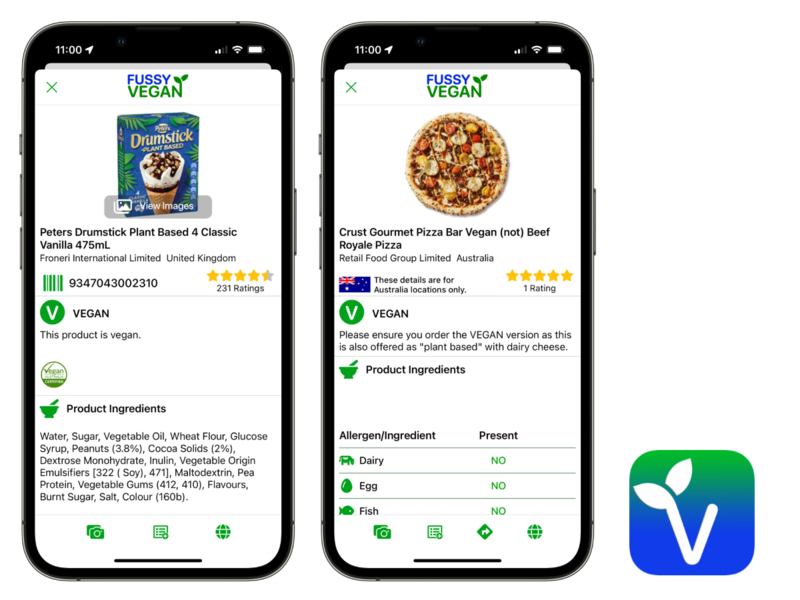 This app has all of the features of Fussy Vegan Scanner, with additional features: Weekly supermarket catalogue specials (Australia only), look up ingredients and additives, company palm oil status, company animal testing status and more. Check out our Fussy Vegan Scanner app. Scan the barcode on grocery products to find out if the product is vegan or not. Our extensive database includes grocery products for the USA, Australia and New Zealand and we are adding between 200-500 new products each day. Check out our Fussy Vegan Food Finder app. 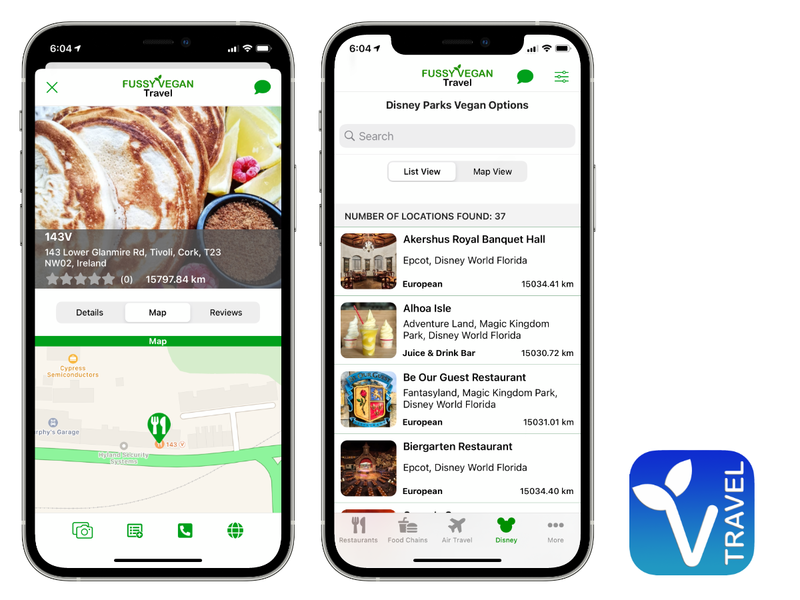 You can easily find vegan food options at restaurants, cafes, airports, theme parks and resorts world wide with our extensive database of vegan food businesses. New listings are added daily. Check out our Fussy Vegan Fast Food app. Save time trying to find out if a menu item or ingredient at your favourite fast food restaurant is vegan friendly or not. Our database is updated regularly with new businesses, menu items and ingredients. Check out our Fussy Vegan Ingredient Guide app. Find out more information about ingredients for food and other products such as cosmetics and health & beauty products. This app is a great companion to our Fussy Vegan Scanner app. Check out our Fussy Vegan Brand Guide app. Find out which company owns your favourite brands. Check if that company does animal testing or not. We have just released our newest app, Fussy Vegan Travel Australia on iOS. Our Android version is currently in development and we hope to have it released soon. 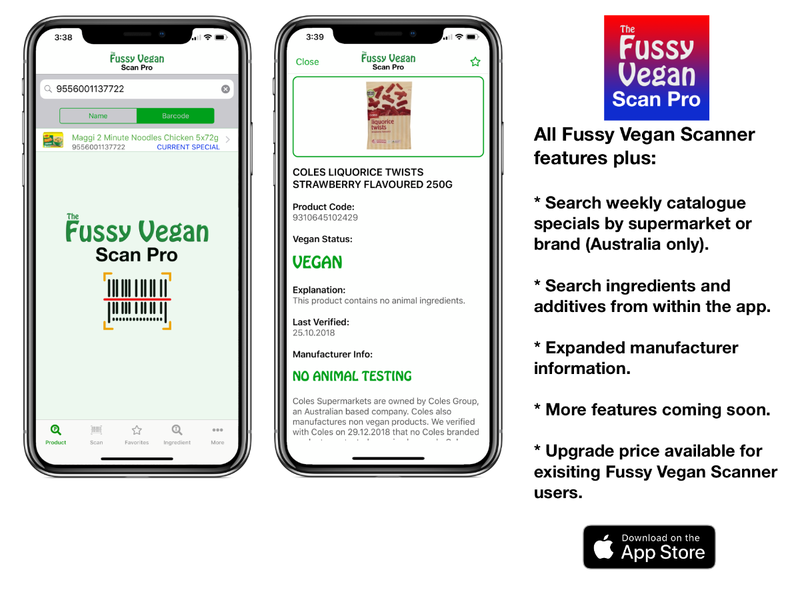 We have just released our newest app, Fussy Vegan Scan Pro on iOS. 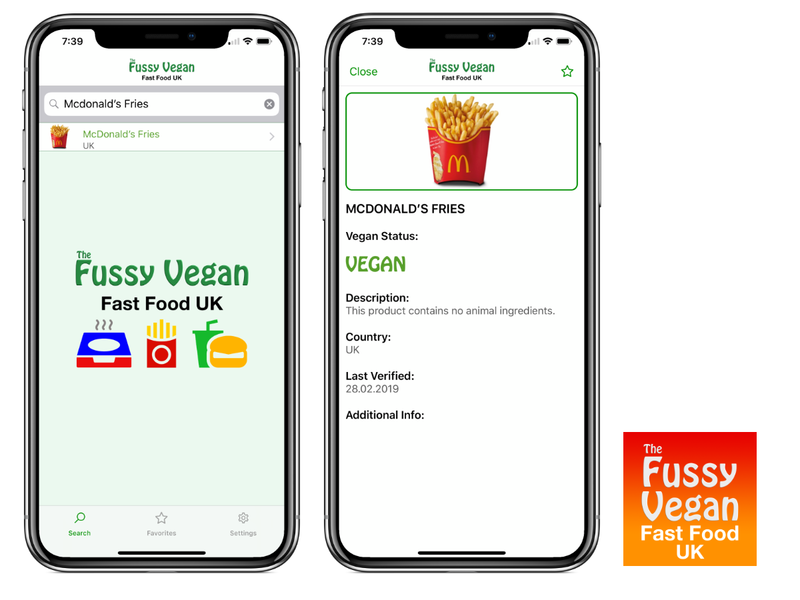 We have just released our newest app, Fussy Vegan Fast Food UK on both iOS and Android. We have just released our newest app, Fussy Vegan Fast Food USA on both iOS and Android. We have just released our newest app, Fussy Vegan Fast Food New Zealand on both iOS and Android. 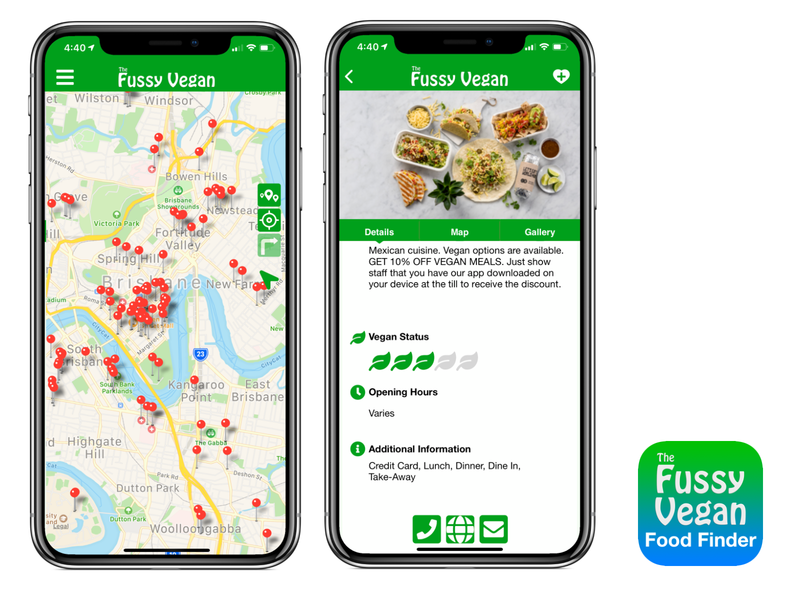 We have just released our newest app, Fussy Vegan Fast Food Australia on both iOS and Android. 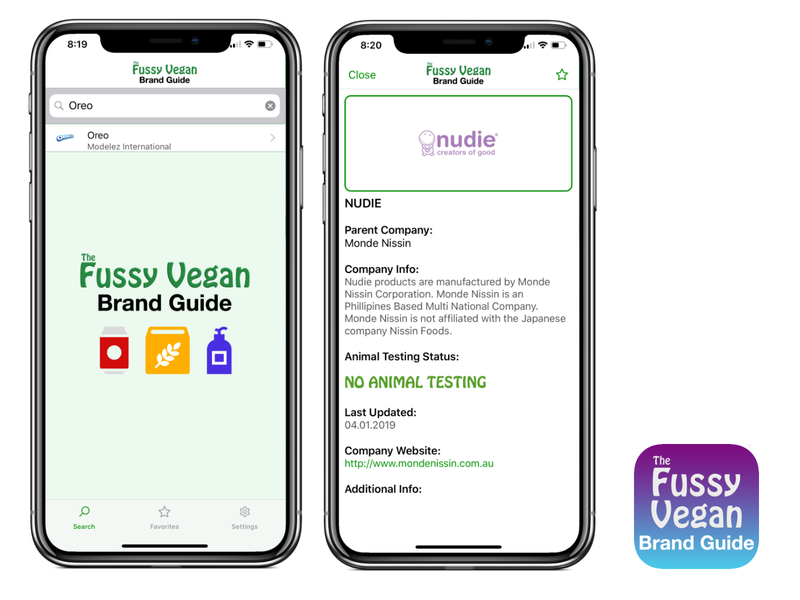 We have just released our newest app, Fussy Vegan Brand Guide on both iOS and Android. We had a delay releasing the Android version but it is finally here. 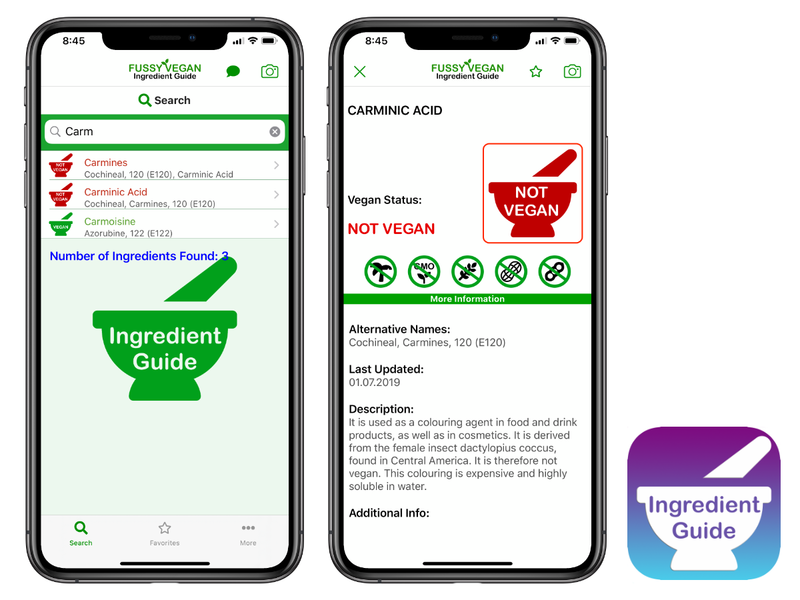 We have just released our newest app, Fussy Vegan Ingredient Guide on both iOS and Android. This is the first time we have released an Android version of an app on the same day as we release on iOS. Normally our Android users have had to wait a couple of weeks after our iOS release. 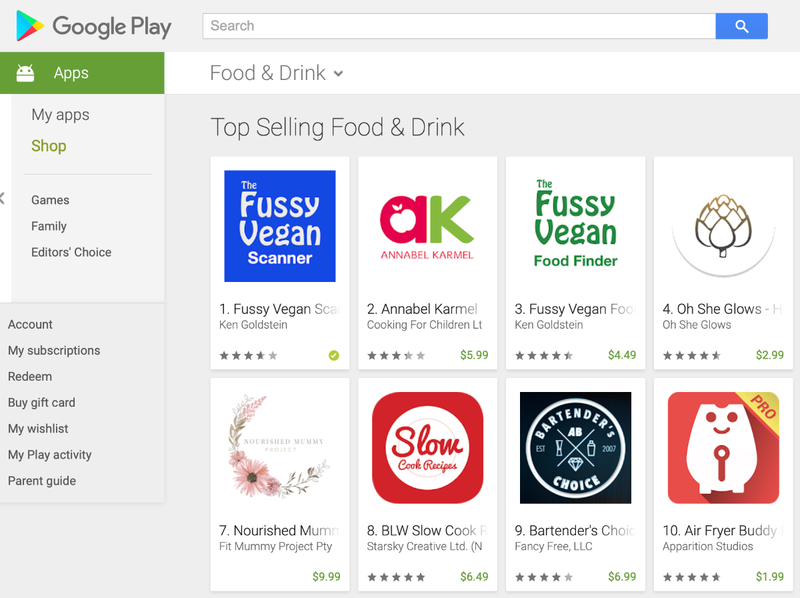 Fussy Vegan Scanner app is currently #1 on the Google Play Store. 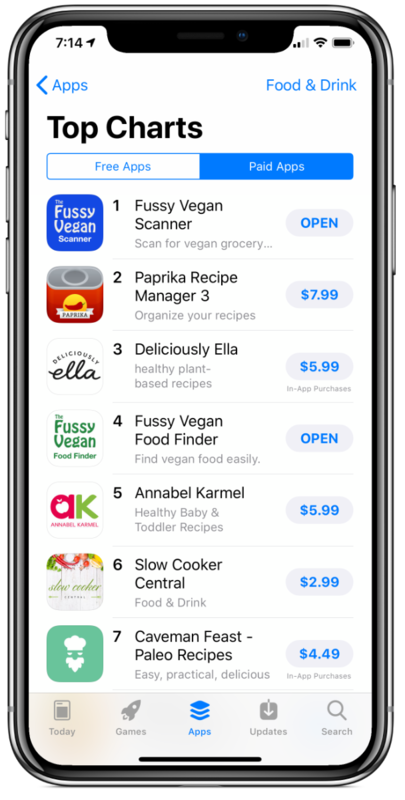 Our Fussy Vegan Food Finder app is also #3. 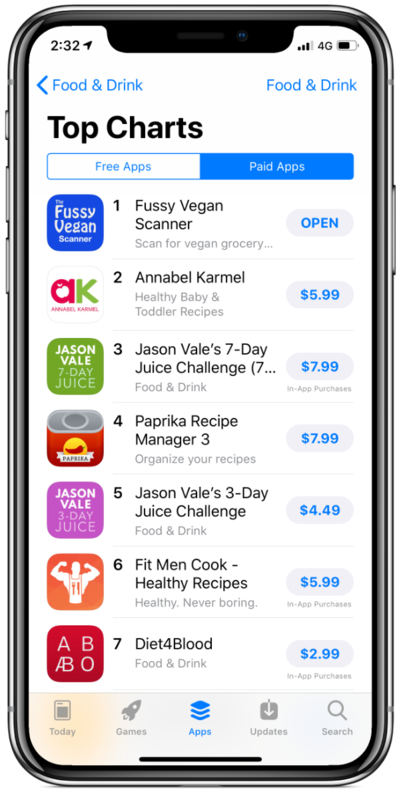 Fussy Vegan Scanner app has maintained its #1 spot on the Apple App Store after debuting at #1 two weeks ago. Our Fussy Vegan Food Finder app is also #4. Fussy Vegan Scanner has debuted at #1 in the App Store yesterday and we have retained that rank today. Thank you to everyone that has purchased this app. 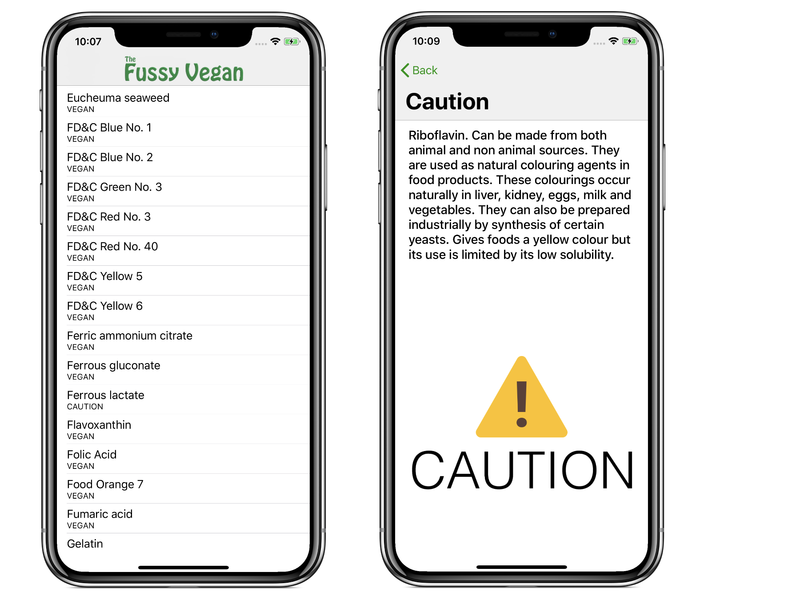 Fussy Vegan Food Finder for iOS has been updated with support for Siri Shortcuts. Check out our new app, Fussy Vegan Additives USA. This app is our USA alternative to our Fussy Vegan Additive Search App. 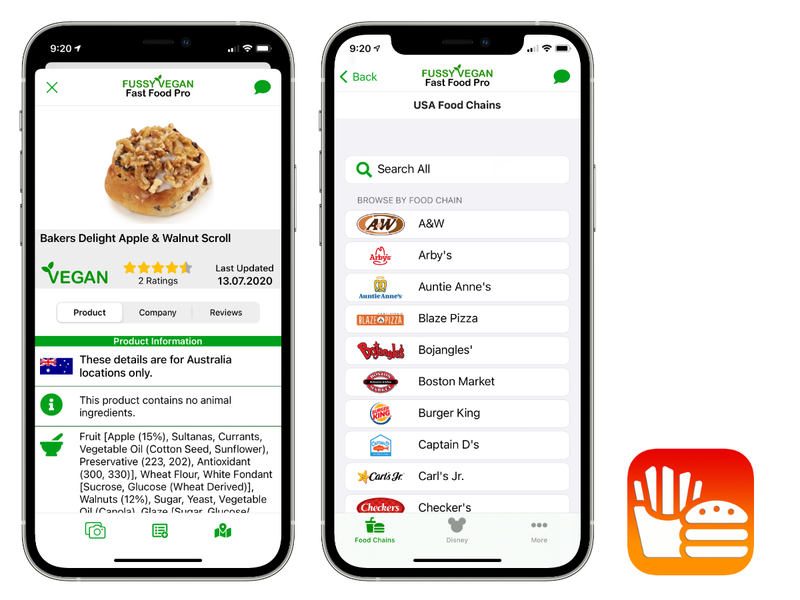 Check out all of the discounts and promotions available to our Fussy Vegan Food Finder app users. New businesses are added weekly. Check out our promotions page to see the full list. We have just added promotions with Miss India (select locations), and Zambrero (all Western Australia locations). Check out our promotions page to see the full list. Check out our current Vegan Food Finder app promotions to find the latest deals and promotions for users of our app. We currently have a range of businesses, both independents and national chains offering various discounts and promotions and the list is growing each day. Get 10% off at participating Zambrero locations for any vegan meals. All you need to do is show staff that you have our app installed on your device when you pay for your meal to receive the discount. 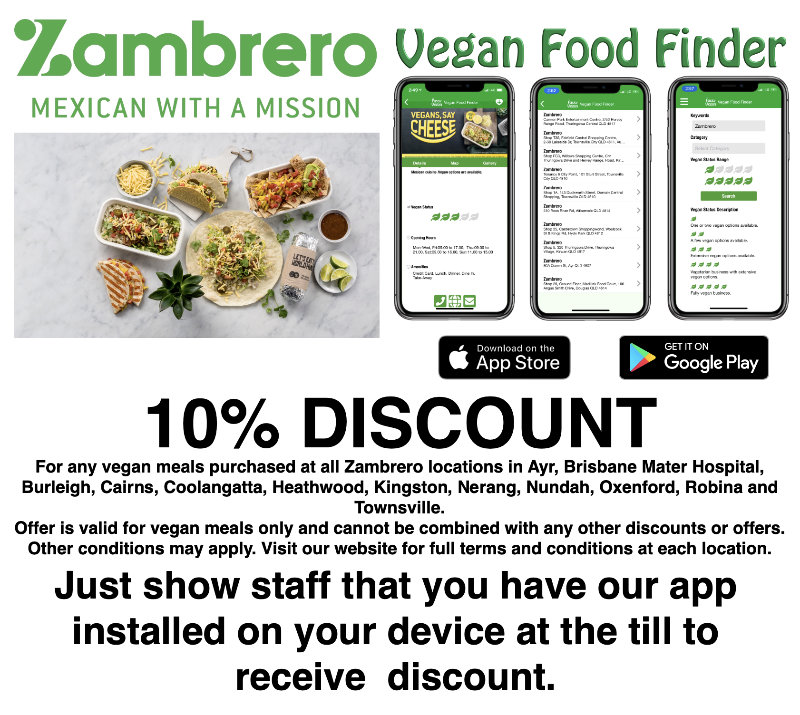 Current Zambrero locations participating in this offer are Townsville, Ayr, Cairns, Nerang, Coolangatta, Oxenford Burleigh, Robina, Heathwood, Brisbane Mater Hospital, Kingston and Nundah.